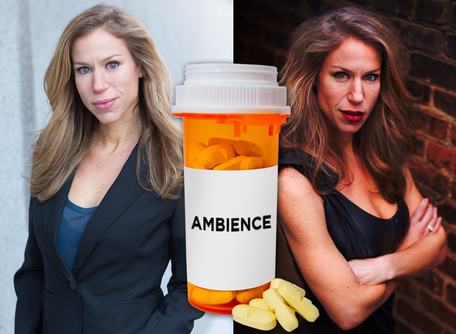 Ambience is a mystery centered around Anna, a single, over-worked teacher living in New York. Anna’s life is overwhelming, exhausting, and a little bit lonely. In an attempt to combat her growing anxiety and insomnia, Anna begins taking sleeping pills and discovers that the side effects are more than she can handle. She finds herself waking each morning to a new disaster and no memory of what she did the night before. As her chaotic life spins further out of her control, Anna discovers a strange and adventurous side of herself that she never knew existed.